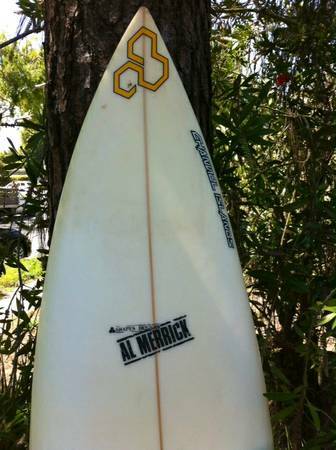 Nice board, some dings and nose fixes, nothing major. 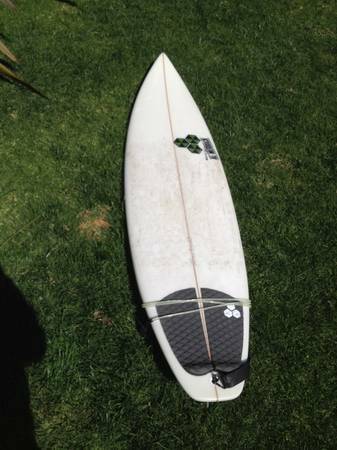 Very old channel islands board. 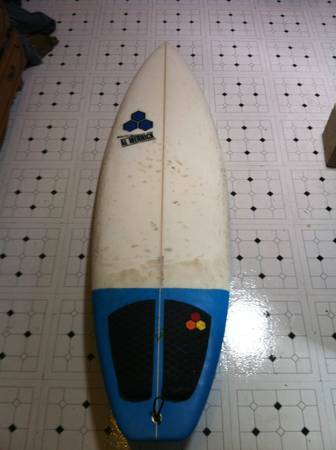 One of two old boards I wanted to get rid of to clear space. 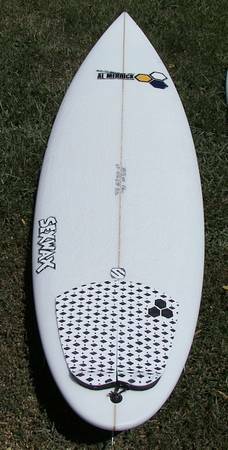 Very old board I wanted to get rid to make space in my garage. 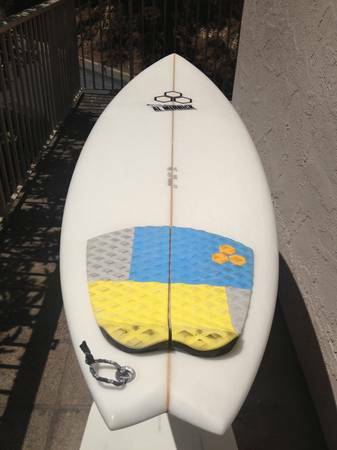 Firewire Tomo Vader 52 X 17 58 X 2 14 $350In great shapeAl Merrick 510 x 18 x 2 18 mbm $100few dings that have been repaired. Still shreds. 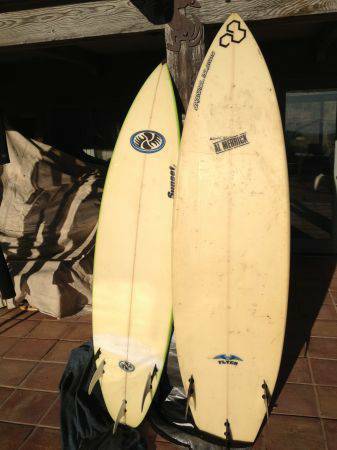 Great surfboard, in excellent condition, watertight, extremely lightweight and ready to ride.Tuflite surfboards are the best, I just dont need so many.Fins and bag included.